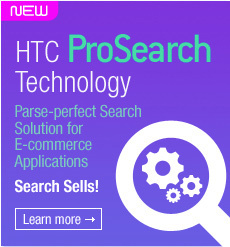 HTC is a unique company offering the branding experience, design know-how and technical proficiency you need for enduring end-to-end Design and Software solutions. We provide comprehensive and innovative services that integrate corporate identity, packaging, promotions and publications with website design and more. Many of our projects involve our one-of-a-kind union of sleek, user-centred Web design and our powerful site administration portal, IgnitionWeb. It is with this 360° perspective that we introduce programming and design without boundaries so we can meet your objectives and exceed your goals. This philosophy and our can-do attitude have matured our expertise with each pioneering project. Our services are now unequalled in both range and quality, and our particular strength lies in integrating elements of all three of the domains below, building and promoting your brand seamlessly, on the Web and beyond.